The 4th Amendment requires that in order for a government official, such as a police officer, to search a person's home, business, papers, bank accounts, computer or other personal items, in most cases, he must obtain a search warrant signed by the proper authority, which usually means by a judge. In order for a warrant to be issued, someone must affirm to the judge that he has a reasonable belief that a crime has been committed and that by searching the premises of a particular location, he believes he will find evidence that will verify the crime. The person submitting this information to the judge is usually a police officer. The police officer does not have to be correct in his assumption, he just has to have a reasonable belief that searching someone's private property will yield evidence of the crime. The judge then reviews the information and if he also believes the information the officer has submitted shows probable cause, he will issue the warrant. In order for the warrant to be good, it must identify the place and the particular items or persons that are to be seized if they are found. A warrant is not a general order that can be used to search for anything, anywhere the officer wants. In order for the warrant to be in compliance with the 4th Amendment, the warrant must be very specific about what is being looked for and where the officer can look for it. The 4th Amendment idea that citizens should be protected from unreasonable searches and seizures goes back far into English history. 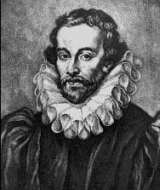 In 1604, in the famous Semayne's Case, the Judge, Sir Edward Coke, first identified this right. He ruled that, "The house of every one is to him as his castle and fortress, as well for his defence against injury and violence as for his repose." In this case, it was determined that subjects of the kingdom had the right to be protected from searches and seizures that were unlawfully conducted, even if they were conducted by the king's representatives. The case also recognized that lawfully conducted searches and seizures were acceptable. This case established a precedent that has remained a part of English law ever since. The most famous English case dealing with the right to freedom from illegal search and seizure is called Entick vs. Carrington, 1765. 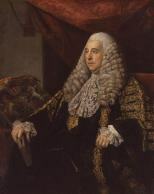 In this case, royal representatives had broken into the private home of John Entick in search of material that was critical of the king and his policies. In the process, they broke into locked boxes and desks and confiscated many papers, charts, pamphlets, etc. The officers were acting on the orders of Lord Halifax. During the trial, Entick charged that the entire search and seizure had been unlawfully conducted, and the Court agreed. The Court said that Lord Halifax had no standing to issue the order to search the premises, that probable cause that a crime had been committed had not been demonstrated and that the warrant allowed a general confiscation of anything the officers found, not specifying exactly what they were to look for or could seize. In addition, there were no records kept of what the officers seized. "The great end, for which men entered into society, was to secure their property. That right is preserved sacred and incommunicable in all instances, where it has not been taken away or abridged by some public law for the good of the whole. The cases where this right of property is set aside by private law, are various. Distresses, executions, forfeitures, taxes etc are all of this description; wherein every man by common consent gives up that right, for the sake of justice and the general good. By the laws of England, every invasion of private property, be it ever so minute, is a trespass. No man can set his foot upon my ground without my license, but he is liable to an action, though the damage be nothing; which is proved by every declaration in trespass, where the defendant is called upon to answer for bruising the grass and even treading upon the soil. If he admits the fact, he is bound to show by way of justification, that some positive law has empowered or excused him. The justification is submitted to the judges, who are to look into the books; and if such a justification can be maintained by the text of the statute law, or by the principles of common law. If no excuse can be found or produced, the silence of the books is an authority against the defendant, and the plaintiff must have judgment." In 1886, in a case called Boyd vs. United States, the Supreme Court of the United States referred to Entick vs. Carrington as a "great judgment," "one of the landmarks of English liberty" and "one of the permanent monuments of the British Constitution." This established the Entick decision as a guide to understanding what the Founding Fathers meant concerning search and seizure laws when they wrote the 4th Amendment. The British government generally looked at the American colonies as a money making enterprise. Consequently, they passed many revenue collection bills aimed at generating as much money from the colonists as possible. The colonists naturally resented this and engaged in substantial smuggling operations in order to get around the customs taxes imposed by the British government. You can learn more about these and other causes of the American Revolution here. In response to the widespread smuggling, Parliament and the King began to use "writs of assistance," legal search warrants that were very broad and general in their scope. Customs agents could obtain a writ of assistance to search any property they believed might contain contraband goods. They could enter someone's property with no notice and without any reason given. Tax collectors could interrogate anyone about their use of customed goods and require the cooperation of any citizen. Searches and seizures of private property based on very general warrants became an epidemic in colonial America. In response to this, the Massachusetts legislature passed search and seizure laws in 1756 outlawing the use of general warrants. 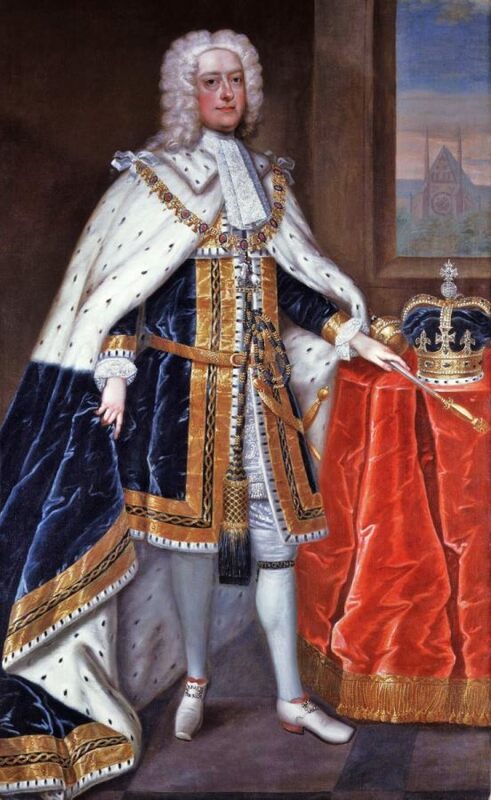 This created a great deal of friction between the Royal Governor and the people of Massachusetts until the death of King George II in 1760. Writs of assistance by law were good until 6 months after the death of the king who issued them. This meant that the Royal Governor had to have new writs of assistance issued by the new king. 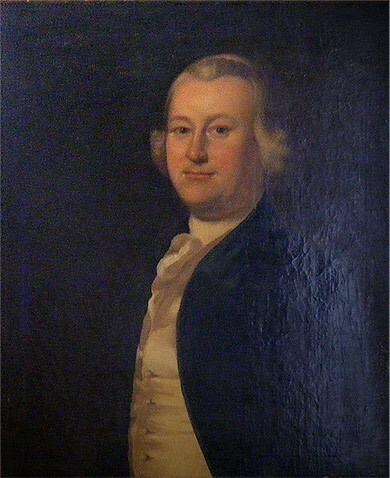 James Otis, a Boston lawyer, had recently been appointed Advocate General of the Admiralty Court, which meant he was essentially the top lawyer for the Crown in the colony. In this position, Otis was required to defend the use of writs of assistance by the government. He strongly objected to these arbitrary searches and seizures of private property and consequently resigned his position. Instead, he became the lawyer for a group of over 50 merchants who sued the government claiming that the writs of assistance were unjust. "The child independence was then and there born, every man of an immense crowded audience appeared to me to go away as I did, ready to take arms against writs of assistance." He viewed Otis' speech "as the spark in which originated the American Revolution." "That general warrants, whereby any officer or messenger may be commanded to search suspected places without evidence of a fact committed, or to seize any person or persons not named, or whose offense is not particularly described and supported by evidence, are grievous and oppressive and ought not to be granted." You can read the Virginia Declaration of Rights here and you can read the Declaration of Independence here. You can also read more about how Thomas Jefferson wrote the Declaration of Independence here. Once the Constitution was written, each state held a convention to debate its worth. Many people opposed the Constitution because they thought it gave the federal government too much power at the expense of the states and of individual rights. Those opposing the Constitution were known as anti-Federalists. They were led by such men as Patrick Henry, George Mason and Elbridge Gerry. The anti-Federalists were concerned that the federal government would trample on the rights of individual citizens. They believed the Constitution did not specify clearly enough which rights of individuals were protected from government interference. Some of them called for the addition of a bill of rights to the Constitution, which would specify exactly which rights of the citizens were protected. Those who were in support of the Constitution were known as Federalists because they did support a strong federal government. The Federalists were led by such men as James Madison, Alexander Hamilton, John Adams and George Washington. In order to convince enough anti-Federalists to support the Constitution to pass it and have it go into effect, the Federalists made a promise that if the anti-Federalists would vote to accept the Constitution, the First Congress would address their concerns by adding a bill of rights to it. This promise succeeded in persuading enough anti-Federalists to support the Constitution that it passed and became law. It also ensured that the Founders concerns about illegal searches and seizures would eventually become law embodied in the 4th Amendment. On June 8, 1789, James Madison kept the promise of the Federalists by proposing to the First Congress twenty amendments to be added to the Constitution. 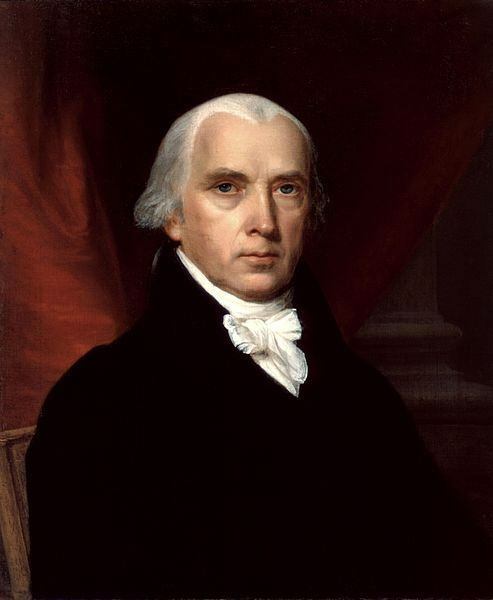 You can read James Madison's June 8, 1789 speech here. One of these amendments, that dealt with search and seizure laws, eventually became what we know as the 4th Amendment. Congress approved twelve of the amendments suggested by Madison on September 25, 1789 and ten of those were eventually ratified by the states. The First Ten Amendments, also known as the Bill of Rights, became law on December 15, 1791. You can read more about the History of the Bill of Rights here. The 4th Amendment only applied originally to the federal government, but through the Due Process Clause of the 14th Amendment, the Supreme Court has now applied most parts of the Bill of Rights to state and local governments as well. The 4th Amendment only provides protection from illegal search and seizure by government officials, not by private citizens. So, if an employer unreasonably searched your possessions at work, the 4th Amendment would not have been violated. There are certain exceptions to the 4th Amendment right to have a properly executed search warrant issued before a search or seizure of private property can be conducted. 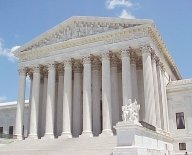 The Supreme Court has ruled that, for example, a police officer may conduct a pat down search of someone he has observed engaging in suspicious behavior, if he has reasonable suspicion that some crime is being committed. Also, if a police officer observes someone committing a crime, or believes that he has probable cause to suspect someone has committed a crime, he may arrest the person without a warrant. The Plain View Doctrine - An officer may seize anything in plain view, that is, as long as he has probable cause to believe it has been involved in a crime. The Open Fields Doctrine - Warrants are not needed to search open fields or outdoor areas, even on private property. The Court has ruled that it is not reasonable to expect privacy in an open field. This does not include the area immediately around a private dwelling, which is known as curtilage. Exigent circumstances - This means that if the officer believes there is immediate danger to his life or others, or to someone's private property, and he believes there is some emergency where there is no intent to arrest or seize evidence, the warrant requirement is waived. An example would be that he believes a suspect is hiding a gun under the couch on which he is sitting and believes he might try to use it. In this case, the officer could search for and seize the gun without a warrant. Motor Vehicle Exception - The Supreme Court has ruled that vehicles do not have the same protection as private dwellings. Vehicles may not be stopped randomly. There must be reasonable suspicion that a crime has been committed to stop a vehicle. Items that are in plain view can be confiscated and other areas of the vehicle can be searched if there is reasonable suspicion. Reasonable suspicion means the officer has some particular articulable reason that he thinks a crime may have been committed. Officers may not search the occupants of the vehicle unless there is reasonable suspicion of a crime having been committed. Searches incident to a lawful arrest - If a lawful arrest is made, an officer can search the person and the area immediately around the person without obtaining a search warrant. Border search exception - Searches conducted at US borders or international airports can be conducted randomly without reasonable suspicion of a crime having been committed. Other exceptions - Student property on public school grounds can be searched without a warrant if there is reasonable expectation of finding evidence of a crime. Government employees may have their personal items at work searched without a warrant for evidence of illegal activity. Prisoners can have their personal items searched without a warrant. If a person consents willingly to a search or seizure, a warrant is not necessary. Finally, most case law has established that employees do not have reasonable rights to privacy regarding their work related electronic information, such as emails and documents on their computers at work. In general, any evidence that is obtained in an illegal search and seizure is not admissible in court by the prosecution in a criminal defendant's trial. This is known as the 4th Amendment Exclusionary Rule because evidence obtained in this manner is excluded from the trial. The Supreme Court established this rule in a case called Weeks vs. United States, 1914. Before that time, any evidence, even if it was gathered in an illegal search and seizure, was admissible in court. There are some exceptions to the 4th Amendment Exclusionary Rule. For example, Grand Juries may use illegally obtained evidence to question witnesses. The method of gathering the evidence can be challenged later if the defendant is charged. Evidence gathered in good faith by an officer can be used in court. This means that if an officer is following the directions of a warrant that is faulty, not realizing that it is faulty, the evidence may be used. Read about some of the most interesting and significant Fourth Amendment Court cases here.